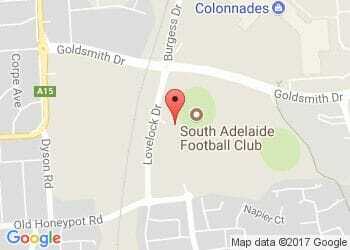 SPEND $30 IN STORE TO GET YOUR FREE DOUBLE PASS TO SOUTH ADELAIDE v CENTRAL! Be there as the Panthers look to remain unbeaten at home in 2016 and support your local heroes as they put it all on the line in up close, in your face action! This Saturday South Adelaide take on Central District in Round 17 of the SANFL IGA League, at Hickinbotham Oval from 2:10pm. Spend $30 in one transaction at any store, take your receipt to the Concierge desk, and receive a complimentary double pass to Saturday's match. So bring your mates, bring the kids and bring it on, because this is the SANFL IGA League. This is Football. Ticket redemption available from 9am Thursday 21 July - 3pm Saturday 23 July, or until allocation is exhausted. Limit of one double pass per customer, per day.